Over 500 attendees enjoyed the 2017 “A Taste of Santa Cruz” fundraiser on November 9th at the Santa Cruz Museum of Art and History and raised a near record amount of funds for the Santa Cruz Association of REALTORS Housing Foundation. The funds raised from the event will help fund closing cost assistance grants, which have helped dozens of first time home buyers become homeowners in Santa Cruz County in the past 13 years. The Taste of Santa Cruz featured 2 local breweries and 15 local wineries, mostly members of the Santa Cruz Mountains Winery Association, for the first time this year, which drew wine lovers from around the county. 17 local restaurants brought their culinary talents to offer tastes to the attendees while sharing their hospitality and good will. Local real estate brokerages and mortgage companies were the main sponsors who provided the table space for both the wineries and restaurants. Jerry Starr – Santa Cruz Wine Growers Assoc. We hope we see you at the 2018 “A Taste of Santa Cruz”! When two local housing organizations team up to help renters become homeowners so they can live and thrive in Santa Cruz County, it’s a good thing, When they both partner to create a food and wine event focusing on local food, wine and craft beers to raise funds for housing grant programs, it is even better. The Santa Cruz County Association of Realtors Housing Foundation’s annual fundraiser, “A Taste of Santa Cruz” is being held on Thursday, November 9th from 5:30-9 pm at the Santa Cruz Museum of Art and History. Tickets are $45 in advance and $55 at the door. 17 local restaurants and 18 wineries and breweries will be bringing the taste of Santa Cruz to 450 guests this year, all to raise monies for the Closing Cost Grant programs which the Housing Foundation administers. To date, almost $400,000 has been raised from the “A Taste of Santa Cruz “ over the past 13 years to fund these grants so local renters can become homeowners. Many of the Foundation’s homeowners have also been helped by Habitat for Humanity Monterey Bay. “We hope that by including Habitat for Humanity Monterey Bay in our event, that more people can learn about their new program to help seniors stay in their homes. This whole fundraiser is about helping our residents STAY in Santa Cruz County to keep our community vibrant through homeownership,” stated David DeTeso, SCCR Housing Foundation Chairperson. "Habitat for Humanity Monterey Bay is so pleased to be a sponsor participating in this event. Every home built by Habitat volunteers is a community building event. The Santa Cruz County Association of Realtors Housing Foundation has been there all the way with down payment assistance grants for our first-time homebuyer families,” stated David Foster, Executive Director, Habitat for Humanity Monterey Bay. Tickets are on sale now at ATOSC.com. Each ticket comes with a commemorative glass, all-you-can-enjoy food, wine and beer, access to the art exhibitions, silent and live auctions and a chance to purchase wine to take home. embrace our goals. Visit us at www.sccarhf.org. Habitat For Humanity Monterey Bay serves Santa Cruz and Monterey Counties as an independent, locally operated affiliate of Habitat for Humanity International. Habitat's mission is to build decent, affordable homes with volunteer labor in order to provide homeownership opportunities to qualified low-income families. For more information visit www.habitatmontereybay.org. Six Reasons You Should Buy Your ATOSC Ticket Today! 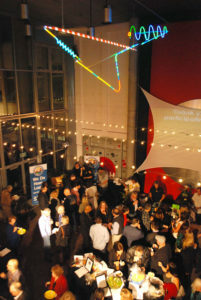 year’s “A Taste of Santa Cruz”! we hope we can include them next year. It is going to be an exciting evening as chefs and vintners bring their game to Taste this year! Thank you to following restaurants, wineries (most of whom are members of the Santa Cruz Mountain’s Winegrowers Association)and craft breweries for donating their fantastic food, wine and beer to help us raise funds to keep homeownership a reality for people whowork in Santa Cruz County through our partnership with Habitat for Humanity Monterey Bay and our own Santa Cruz County Association of Realtors Housing Foundation. Are you ready to grab a fork and wine glass? Buy your tickets today! Get the Tastiest Ticket in Town! NEW VENUE THIS YEAR! We are proud to announce a new venue for this year's "A Taste of Santa Cruz"! The three-story Santa Cruz Museum of Art and History will be all ours for the night! 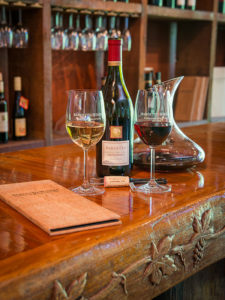 Explore the art exhibits as you nosh on local cusine and taste a variety of local wines. Also new this year, you can purchase full glasses of wine and beer on the rooftop sculpture garden and if you enjoy a wine you discovered, buy the bottle and take it home to enjoy! All proceeds of the Taste of Santa Cruz help bridge the gap to home ownership for vital members of our community: teachers, first responders, in home caregivers, single parents, veterans in our County via the Santa Cruz County Association of REALTORS® Housing Foundation's grant programs. Have you been to the revitalized Abbott Square Marketplace in Santa Cruz yet? 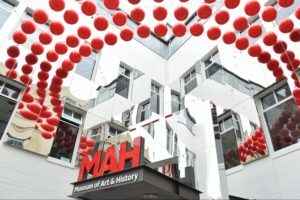 Have you been inside the Museum of Art & History within Abbott Square? If not, you are in for a treat as we hold Santa Cruz’s premiere culinary extravaganza, “A Taste of Santa Cruz” in this new venue for 2017 on Thursday November 9 at the MAH from 5:30 – 9:00 pm. Booth sponsors will be located within the three floors of the museum serving up the best wine and cuisine Santa Cruz County has to offer. How can you get involved in this exciting event? The Santa Cruz County Association of Realtors Housing Foundation is currently seeking booth sponsors from within the real estate community to pair up with local restaurants and wineries to make this year’s fundraising event one of the best yet! 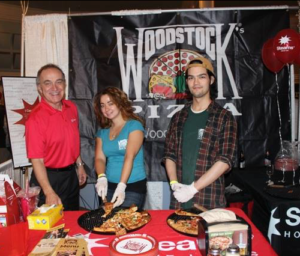 Showcase your food, wine or business to an audience of over 600 event attendees and foodies! This event is going to be the talk of the town, so you will want to secure your space now! . We are also seeking in kind sponsors and donations for our silent and live auctions. Tickets will be available for sale on Friday September 15th for $45 in advance on EventBrite and $55 at the door. 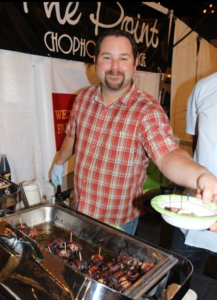 I am thrilled to be at the helm of “A Taste of Santa Cruz” this year. My goal and that of our committee is to not only host a tremendous and fun event, but also raise a record amount of funds for our grant program. The need has never been greater to keep the social fabric of Santa Cruz County vibrant with a diverse community of residents owning homes in our County. With median home prices reaching over $850,000, innovative homeownership programs are more important now than ever, The Foundation grant program, which helps teachers, first responders and other key neighbors, provides funds that are magnified several times over because the grants are almost always combined with City, State and Federal programs as well a family help and other groups like Habitat for Humanity. The Taste of Santa Cruz has raised over $380,000 for the Closing Cost Assistance Grant Program, placing over 250 families in homes of their own from the community support of this event. Please contact Suzanne Schmidt, 831-419-5956 or [email protected], for sponsor booth sign up forms and donation forms. Visit www.atosc.com for event details and be part of the conversation on the Taste of Santa Cruz Facebook page or Twitter @atasteofsc. The Santa Cruz County Association of REALTORS® Housing Foundation was established in 2003, to bridge the gap to homeownership in Santa Cruz County. The mission of the Housing Foundation is to assist residents in our community realize the dream of homeownership by providing education, financial programs, and by supporting organizations who embrace our goals. Visit us at www.sccarhf.org.